Elegantly personalised Wedding Cake Decoration that is a perfect finishing touch for styling your special day. 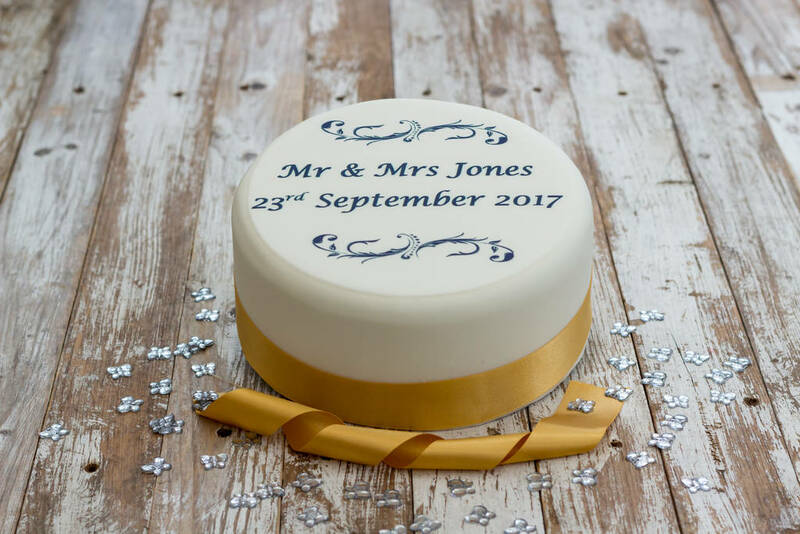 Our personalised wedding cake decoration is an elegant finishing touch to a stylish wedding. The topper can be personalised with the names of the bride and groom and the date of their wedding day. The names on the toppers can be produced in black, red, blue, green, pink, lilac or purple. However, if you would like an alternative colour, please contact us. 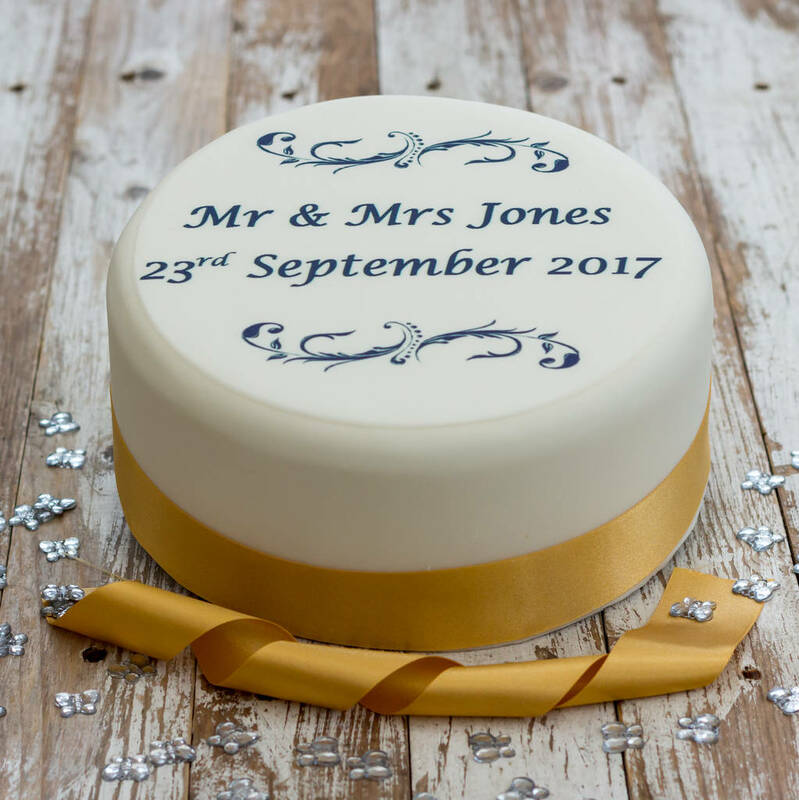 If you have any queries or if you would like to know more about personalising the cake topper slightly differently, please contact us as we will always try to help. The cake decoration can be used in different ways depending on what effect you're trying to create. In the main image above, the cake topper has been lightly stuck directly onto the fondant icing. However, the cake toppers can also be stuck to a disc of thicker fondant icing. This gives the cake topper a thicker look and maintains the rigidity. 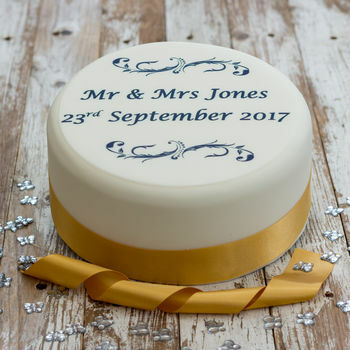 The cake topper lasts for up to three months from the point of ordering so long as it's kept in its original packaging. Our cake toppers are suitable for vegetarians and vegans. Unfortunately, we can't guarantee nut free on our products. The sugar cake decoration is completely edible and is suitable to be used on most cake toppings. The cake decoration measures approximately 19cm (7.5 inch) in diameter. This product is dispatched to you by Just Bake.